Home / Blog / Can my dog be vegan or vegetarian? Can my dog be vegan or vegetarian? The trend in humans to be vegan or vegetarian is undeniable and there are many benefits in doing so. The question then arises, what about my dog being vegan or vegetarian? In short, your dog can absolutely lead a healthy lifestyle as a vegan or vegetarian. As with humans, some care and understanding of nutritional requirements is important. An interesting fact on this subject is that Bramble, a Border Collie who lived to 27, and is recorded in the Guinness Book of World Records as one of the oldest dogs ever, lived a vegan lifestyle. This article looks to explore why and how dogs can become healthy vegans or vegetarians whatever the reason for your choice as an owner. Are dogs’ carnivores or omnivores? If you wanted to go back and look at the classification of dogs, then strictly speaking, they are carnivores. However, if you take a step back and consider how dogs live biologically, then you may come up with a different answer. The length of the digestive tract is often used as a measure of herbivore or carnivore, with herbivores having very long tracts to enable the breakdown of plants. 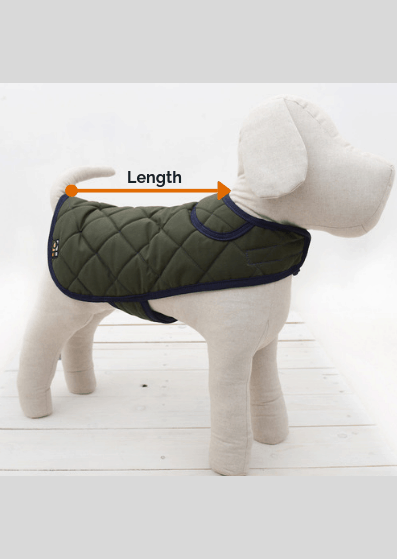 Many experts argue that dogs sit in the middle (with cats having shorter tracts) and so could be classed as omnivores (can be sustained on a meat and plant-based diet, like us humans). What makes the argument more complex is that recent data suggested some flaws in this as a measure. The new method would lead towards dogs being carnivores. Currently there doesn’t seem to be any consensus on this point! The design of your teeth tends to indicate what you can/should eat. Some experts point to the prevalence of large incisors in dogs, used for tearing apart meat, therefore concluding that dogs are carnivores. Other experts point to the existence of molars at the back of a dog’s mouth for grinding plant-based food, giving weight to the omnivore argument. Dogs behave like their carnivorous wolf ancestors by digging holes to store undigested food etc. Does this make them carnivores, or have they evolved? Some experts believe that there are differences between dogs and wolves, one difference being the presence of genes that relate directly to the breakdown of starch/glucose in digestion. So how do we summarise such a hot topic of debate? In simple terms, dogs may well be carnivores that have adapted. And no wonder, dogs have been our best friends and family members for 15,000 years. This is likely to have led to omnivorous behaviour and the ability for dogs to lead a life on a plant-based diet. Does it matter whether dogs are carnivores or omnivores? What matters is your ability as an owner to feed your dog an appropriate diet. How can a vegan or vegetarian dog get its protein? Dogs will all require different amounts of protein dependant on activity levels and life stage (for further info regarding dogs calorie intake see our article regarding dog nutrition here). Whilst there are no hard and fast rules, dogs require between 15% to 35% protein in their diet. So, against some beliefs dogs do not have a based diet that is mostly protein. Outside of meat, there are many places to source your dog’s protein requirements. Importantly, dogs can convert some amino acids into others to ensure they can get all of the protein they need. For a vegetarian dog, eggs are a great source of protein with a high content by weight. For a vegan dog there are lots of sources including soy, beans and some grains. As much as many experts believe animal-based protein is better, there are experts who believe the opposite. The one piece of advice that stands up on both sides is that all dogs are individual and so, be cautious and meticulous in ensuring adequate nutrition. This is the same in humans. How often do you check your protein requirements and whether your diet matches…..? What approach should you take to make your dog meat free? If you have decided to make the step to move to vegan dog or vegetarian dog, then you should apply the same rule of thumb as if you were changing from any dog food. You will remember moving your puppy from its puppy range food to its adult food. The importance of slowly and gradually introducing the food is the same for a move to vegan or vegetarian dog food. Over time (dependant on how well your dog adjusts to the new diet) you will gradually increase the vegan or vegetarian dog food and decrease the meat dog food. 7 days seems to be the norm but don’t rush it. If your dog doesn’t seem to like the vegan/vegetarian alternative then you can add other substitutes to aid the transition, for example, soy milk. You may even find changing the temperature of the food might help (warming it up). The next most important rule to follow is to be acutely aware of your dog’s health and well-being. If you notice any change in temperament or behaviour you should consult a specialist. You should also look out for any gastrointestinal changes (dog poo for example) or skin problems. If anything seems different or out of the ordinary you should consult a specialist. You should feel comfortable that the majority of dogs will fair extremely well on a vegan diet and health status can improve. What are the benefits of a vegan/vegetarian diet for your dog? There are many health benefits to a vegan or vegetarian diet for your dog. One of the obvious ones is food allergies. Many dogs may be allergic to certain meat meals and this is a very good reason to switch. 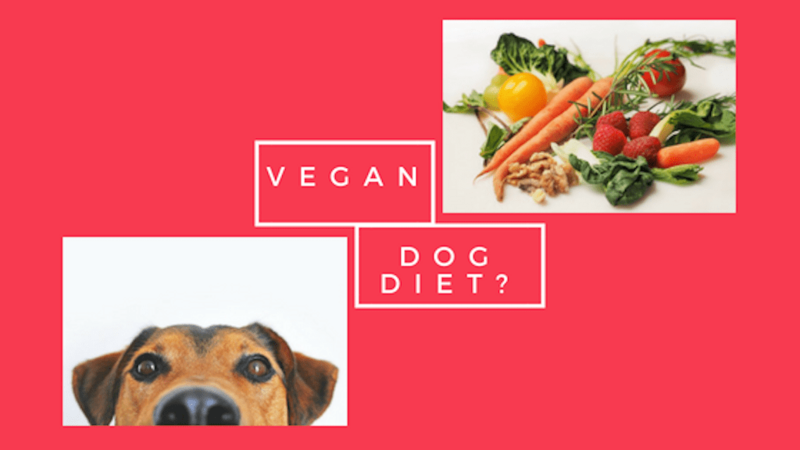 There are other conditions associated with meat that are reduced on a vegan or vegetarian dog diet including liver and potentially heart conditions. Aside from ethics, one of the major benefits often overlooked is the reduction in carbon footprint. Some studies estimate that meat consumption linked to dog ownership could cause up to 25% of greenhouse emissions. The way in which mass-produced dog food is processed does explain some of this. Dry food is extruded, and this is done at high temperatures. On top of this you have the meat and dairy farming that further adds to already un-ecological processes. Once your dog has made the transition to a vegan diet, why not consider some vegan accessories here.